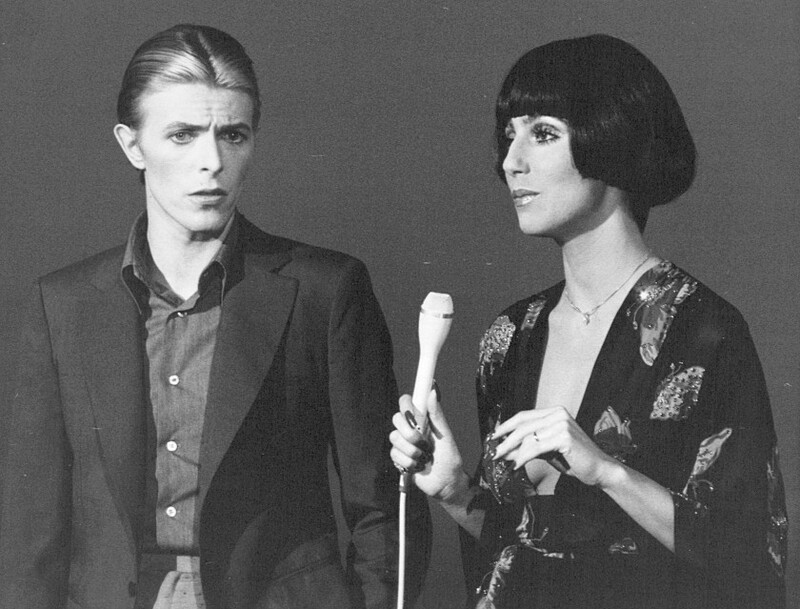 Bowie poses with Cher on the set of her TV show in 1975. In the days following David Bowie’s death. 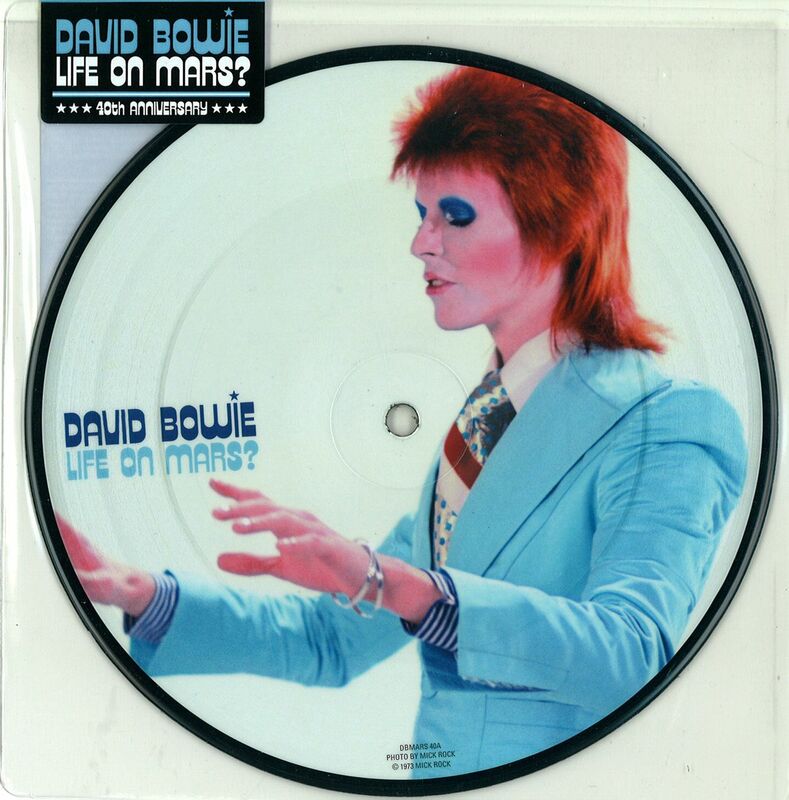 I listened to the songs “Life on Mars?” and “The Bewlay Brothers” from the 1971 album Hunky Dory. The lyrics intrigued me. I must write Merriam-Webster and suggest they add a new definition for palimpsest: layers of ghosts. The Hunky Dory album has its fair share of ghosts, along with a touch of Nietzsche, aliens, and tributes to other musicians. 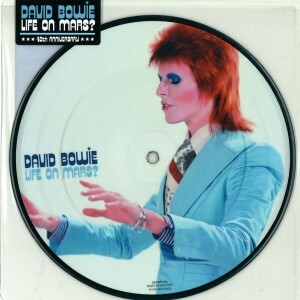 It’s this mixture of influences, delivered with glitter and angst, that gives Bowie’s work such a unique sense of modernity and other-worldliness. The musician starts the conversation and fans keep it going. On a recent CBC News story, we’re told that Canadian DJ Skratch Bastid’s remix of Bowie’s song, “Let’s Dance” has become a Facebook meme with over 8 million views in five days. Multiple conversations. The search for experience. Exhibitionist finds relief in theatre, masks. The future looks bleak. Experience is filtered through news, media, entertainment. Distrust politicians. Rock ‘n roll is a collective experience. Fame is a trap. Keep dreaming. Space aliens. Nothing is permanent. Embrace change. My final thought on Bowie: he doesn’t just change for the sake of change. He grows. He develops, he educates himself by traveling, working with gifted people, stretching himself through relationships, marriages, films, families. 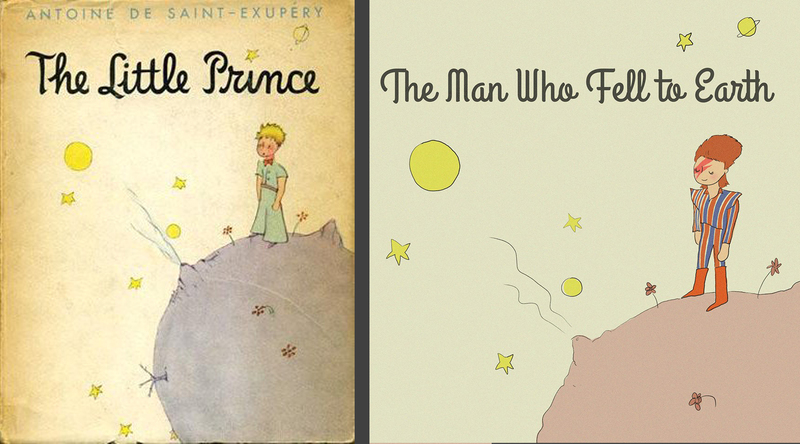 He stretches himself by renouncing a popular path for an uncertain path. He teaches us all how to become an alien and thrive. Thanks Bowie, it’s been a blast. This entry was posted in General and tagged David Bowie by dougcube. Bookmark the permalink.